It has long been considered that the state of Florida has perhaps the best baseball in the country at the high school level. 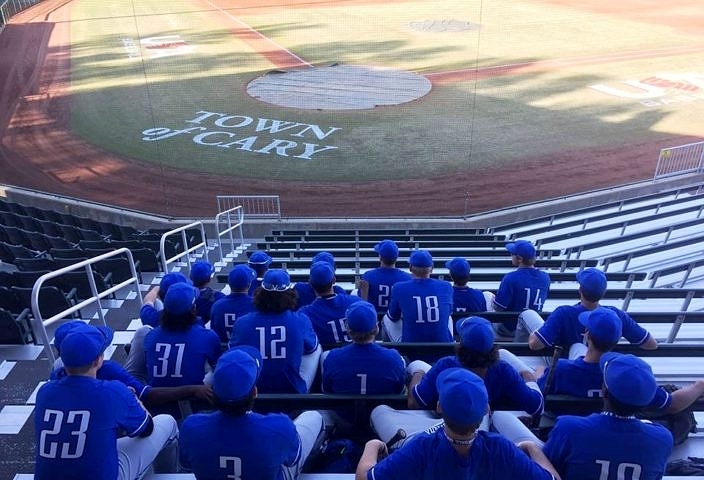 On Wednesday, five of the top teams from the state played their first game in the 2017 National High School Invitational in Cary, North Carolina, one of the toughest tournaments in the spring. Four of those five teams came away victorious. The group was led on this day by American Heritage-Plantation, who came out of the gates with a nearly-perfect performance, a 10-0 win over Rocky Mountain. The Patriots were led by Christian Santana, who threw a complete-game, four-hit shutout, while striking out 11. Offensively, the team was led by Mark Vientos and Cory Acton. The pair combined for eight hits, five runs and three RBIs. The Archbishop McCarthy Mavericks greet Adan Fernandez after he scored in the second. District rival Archbishop McCarthy, the #1 team in the HSBN Florida Power Rankings, also had a strong showing to begin the tournament. The Mavericks stayed perfect on the season with a hard-fought 3-1 win over Arlington. As has been the case for most of the year, the Mavericks pitching and defense rose to the occasion. Joe Perez, Mark Diaz, and Yordani Carmona combined to give up only one earned run, striking out nine along the way. 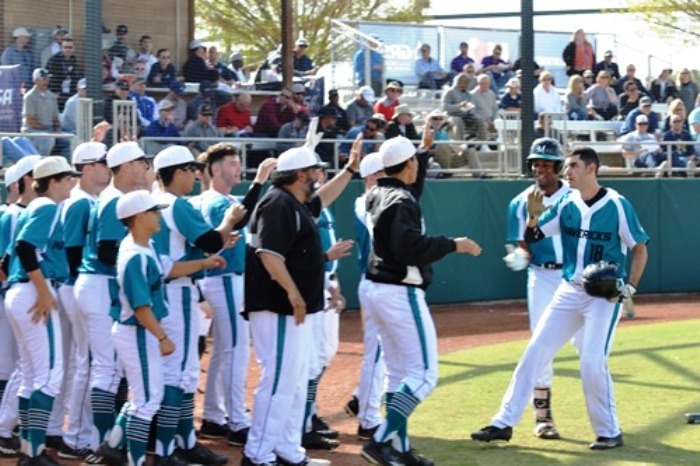 Adan Fernandez was 2-for-3, with a double and a home run, while Colin Bertsch, Luis Tuero and Alex Toral completed a 4-6-3 double play in the seventh to secure the win. Thursday, the Mavericks will face South Hills, and Heritage will see Winder-Barrow, both quarterfinals match-ups. Canterbury, one of the top teams in the state, coming off a season in which the Cougars went 33-1, also cruised through their first round match-up with Hamilton. San Keating threw four innings of shutout ball, while Cooper Swanson and Daniel Cunningham split the final three innings, keeping the shutout intact. Offensively, the Cougars used a spread out attack to score seven runs. Canterbury had hits from seven different players, with the bottom four in the order showing how deep the lineup can be, providing five RBIs on the day. Canterbury will face Dana Hills at 4:45 today in a quarterfinals battle. Trinity Christian made sure that the northern part of the state had their success in Cary as well. 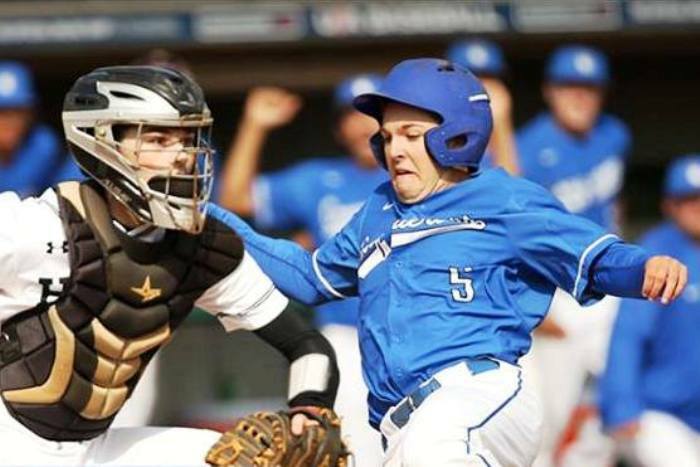 The Conquerors had the toughest battle of the day among the four Florida teams that won, scoring a run in the sixth and a run in the seventh to defeat Hough, North Carolina, 2-1. Chad Ragland was hit by a pitch with one out in the sixth and quickly stole second. An error then brought around Ragland with the tying run. In the seventh, Christian Nobles walked, and pinch-runner Dawson Fietzman was sacrificed to second on a Brian Muniz bunt. Similar to the previous inning, the winning run came around to score on an infield error, advancing the Conquerors to the quarterfinals, where a second round match-up with Orange Lutheran awaits today. The only Florida team to take a loss on opening day was Merritt Island. The Mustangs fell to Orange Lutheran 7-3, and will play a consolation game today versus Huntington Beach, California, the defending champion. Chase Victor had a two-RBI single that drove in Mason Denaburg and Jake Barrett for the Mustangs in the third inning, and Alex Nigh had an RBI single in the second.